In this beautiful 44-card oracle deck by Doreen Virtue, you’ll receive nurturing, encouraging and supportive messages related to your creative and teaching work, as well as your work with children. 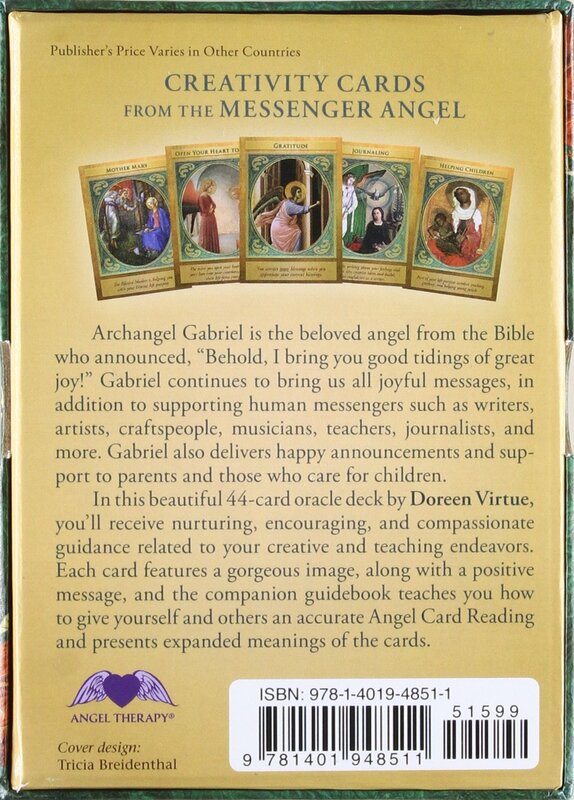 Each card features a gorgeous image of Archangel Gabriel, along with a positive message. 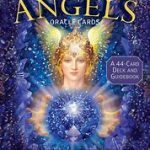 The accompanying guidebook teaches you how to give yourself and others an accurate Angel Card Reading, and explains the expanded meaning of each card. Archangel Gabriel is the beloved angel who announced, ‘Behold, I bring you good tidings of great joy!’ and who continues to bring us all joyful messages. 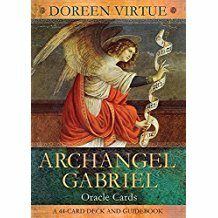 Archangel Gabriel supports human messengers such as writers, artists, craftspeople, musicians, teachers, journalists and more. He also brings happy announcements and support to parents and those who care for children.